Susan Babbitt received a phone call from the Dana Law Firm in Ariz. It was the kind of call people dream of: A woman had recently passed away,and had left money to the Friends of Collinsville Animal Shelter, the animal haven Babbit founded in Collinsville, Okla.Babbit was shocked. Who was this woman? And more specifically, how much was the donation for?Babbitt told ABC News.A few days later, after mailing back a notarized and certified letter with the shelter's tax identification number as a nonprofit organization, she got her answer: The donor was Mary Kay Thomas. Thomas had no family and wanted to donate 27.5 percent of her estate to the animal shelter, according to Tulsa World (http://www.tulsaworld.com/article.aspx/Collinsville_animal_shelters_big_donation_withdrawn/20130508_11_A13_CUTLIN352170?subj=1).As for the donation? It was for a whopping $188,981.03. Babbitt received the check and immediately transferred it into the shelter's account. And that would have been that, but for the call she received on April 15. The law firm had made a mistake, the voice on her answering machine said. The check had gone to the wrong shelter. Instead, it was meant for the Friends of Collinsville Animal Shelter--the animal control and adoption shelter for the City of Collinsville Illinois, not Oklahoma. "I said 'You're kidding me! How can this happen after eight weeks?" Babbitt recalled.She consulted her lawyer, who told her that she had to return the money.Matt Dana, the owner and president of Dana Law Firm, told ABC News that it was an honest mix-up, the result of changing personnel in his office. "Somewhere along the way the file was assigned to a different attorney in the firm with a different paralegal, and they mailed out the check to the wrong charity," he said.Dana said his company realized the mistake after a representative from the Collinsville, Ill., shelter—now called the Warren Billhartz Collinsville Animal Shelter--called to ask about the status of the check. "Everybody started to panic and looked in the file and discovered there were two shelters and the check was sent to the wrong one," said Dana.Although he feels "terrible," he does expect Babbitt to return the money. "It's no different than if you go to the grocery store and when you check out there's a bag of sugar under your cart that you didn't buy," he said. "The clerk made a mistake. It's not like you get to keep the sugar. "Babbitt, for her part, has every intention to send back the cash, although she has not yet done so. "I just haven't had time," she said. "I'm going to do it. "But just in case, she gave a call to John Miller, the mayor of Collinsville, Ill., to ask if he would be willing to split the donation in half. "We are a no-kill institution," she said. "They euthanize. We don't. I doubt the woman would have wanted to donate to a shelter that euthanizes the animals. 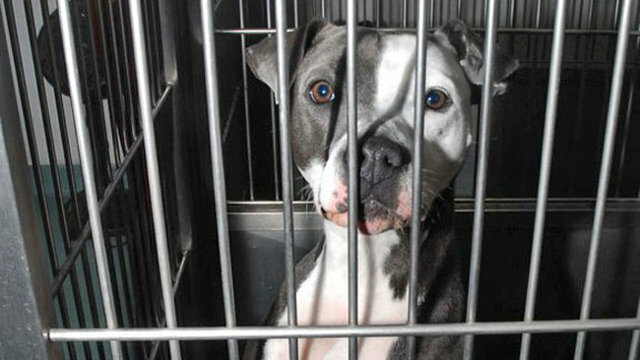 "Neither the Illinois shelter nor the mayor's office returned calls to ABC News. As of this writing Babbitt had not heard back from the mayor.To help compensate for his error, Dana plans to donate his $12,000 fee to Babbitt's shelter. "We've been told those people never had more than $2,000 in their bank account," he said. "We can understand that this is devastating to them." The Friends of Collinsville Animal Shelter in Oklahoma recieved a donation of 188,000 dollars by mistake when the money was intended for a shelter with the same name in Illinois, about 400 miles away.